Here's the Pajero are is a tough Japanese 4x4 SUV were come from by Mitsubishi manufacturer. It has very well reputation in the motorsport, one of Dakar legends, well-known as the most successful vehicle in the Dakar Rally. 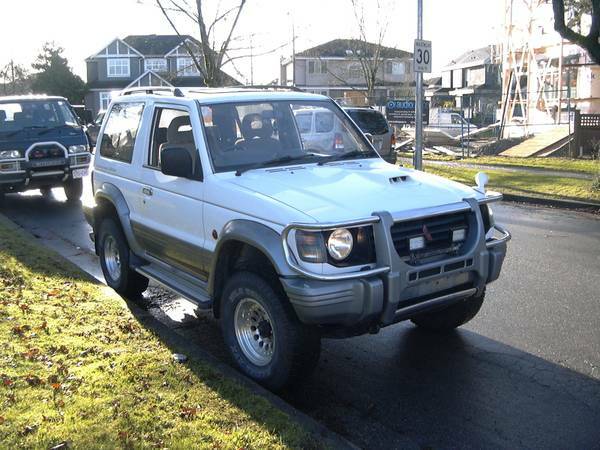 As have shown here is a second generation Mitsubishi Pajero were built in 1994 is a short wheelbase model, powered by a 2.8L I4 Turbo Diesel engine comes with an Intercooler and mated with 5-speeds manual transmission has only 210K Km or around 131K miles on it, is a right hand drive car, it was looking a new home. 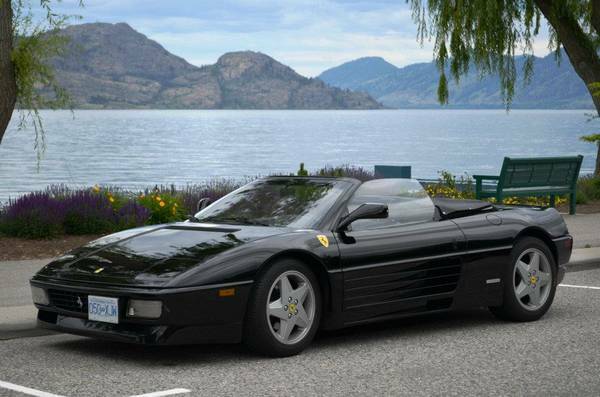 We've found this one in craigslist for $8600 located in Vancouver, BC is said mostly original and still in excellent condition it has a lots of power under the hood, it very rare in US, they was rebadged by Dodge as the Raider for US. market but no one come with this specs. 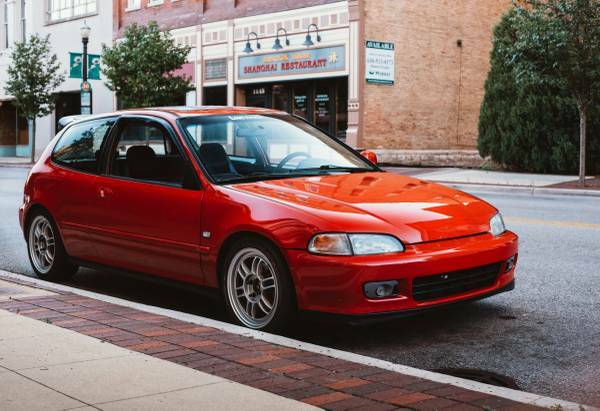 One of the greatness Japanese compact cars manufactured by Honda, as the pictures is the fifth generation Honda Civic released in 1994 is a 2-door hatchback has been painstakingly rebuilt, modified, and upgraded by current owner as a Civic Si type. Originally gaining a reputation for being fuel-efficient, reliable, and environmentally friendly, later iterations have become known for performance and sportiness. The pics as confirm, the exterior so awesome and perfect shape, looks like had high standard treatment according its owner says. 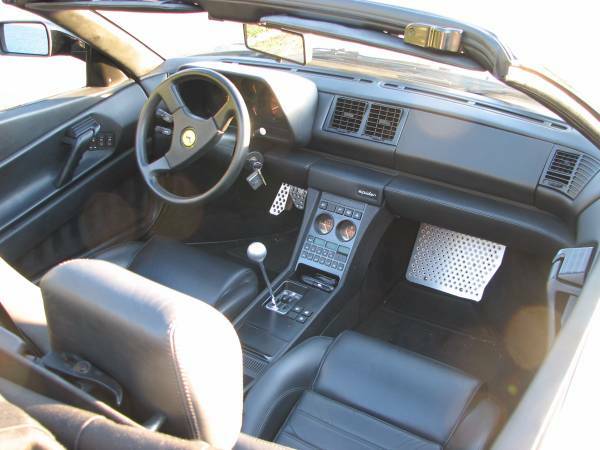 Interior and engine photos looks good and fairly well maintained. If you interested come to see is a must. Overall it's one of the nicest Japanese compact car, 1994 Honda Civic Si hatchback looking for a new home. If you are the rally cars enthusiast, you know and familiar with this car, yes he competed with the Lancer and Impreza on the Group A during 1994-1999 World Rally Championship season. 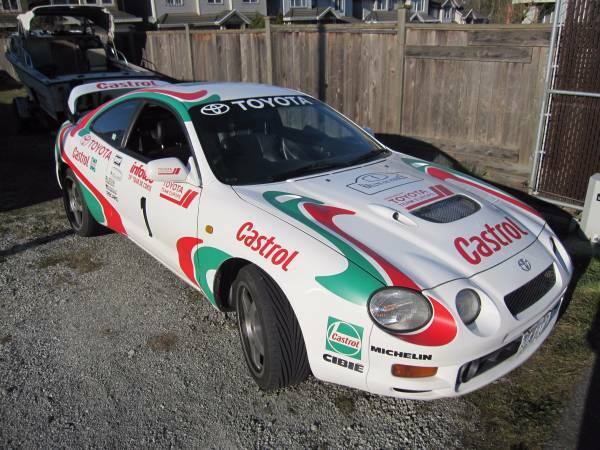 It's a high performance variant of the Celica, with a turbocharged and full-time AWD, Toyota Celica GT-Four WRC (ST205) was released in 1994. Only 2500 units homologation cars built to allow Toyota to enter the GT-Four as a Rally car in the World Rally Championship. Out of the 2500 GT-Four WRC built, 2100 still in Japan, 300 were exported to Europe, 77 for Australia, 5 for New Zealand and a few to the general markets. As the picture is one of the 2100 stayed in Japan currently already in U.S. 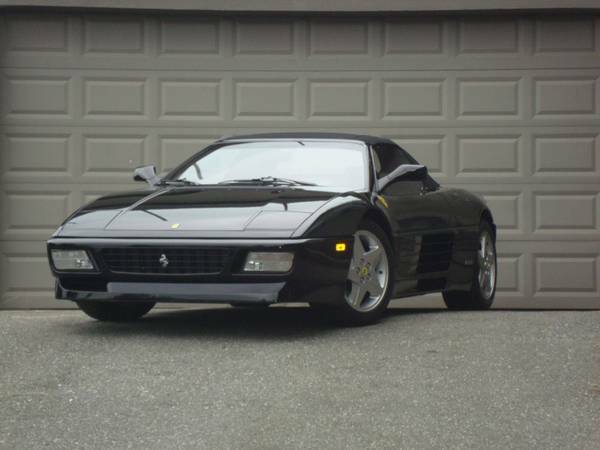 The Italian mid-engined, rear-wheel-drive V8-powered 2-seat sports car by Ferrari, successor of the 328 it's a Ferrari 348 was released in 1994 come in black spider body style has 17033 original miles on it, excellent condition looking for new home. Up for sale is my well cared for low mileage 1994 348. The car was purchased new at Newport Imports in September of 1993 and at the time a Clifford alarm was installed that is still working. I have paperwork for a major service performed by Virtuoso performance in April of 2007 at 11,280. I purchased the car in June of 2011 and had Virtuoso compete a comprehensive PPI and a car fax on the car prior to purchase - I can forward to interested buyers. I had Nick Forza Ferrari in Washington do a complete major including a new clutch, all belts, hoses, bearings etc in May of 2012. The car has been serviced (oil change and check up) in October of 2013 and 2014. I put a new Optima battery in the car in June of 2014. Everything works, all of the sticky has been removed, the previous owner installed fender shields, aluminum pedals, passenger foot rest and a 6 DC player with an Ipod hook up. Other than those items, the car is completely stock. 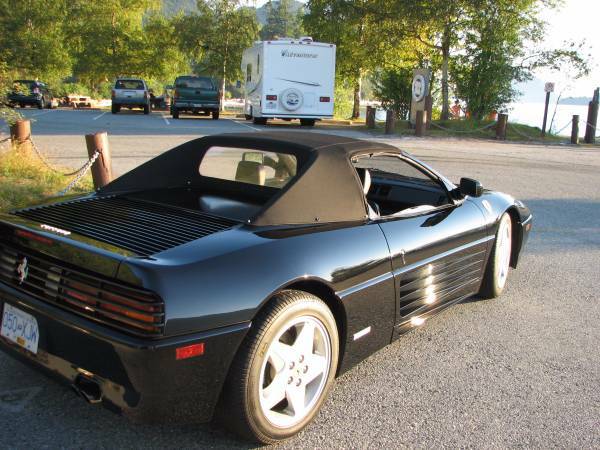 It runs great, all gauges are working properly, the automatic belts are working properly there are no issues with the car that I am aware of other than the typical rock chips from being driven. I do my best to drive the car at least once a month for at least 20 miles. I have put about 5000 miles on the car since I bought it and have had no issues with it at all. S/N 097186 asking $49,500 USD including car cover and trickle charger. I have photos of the engine out service and electronic copies of the PPI, Car Fax and invoice for major service for anyone interested. All keys, tools, books and manuals are present. 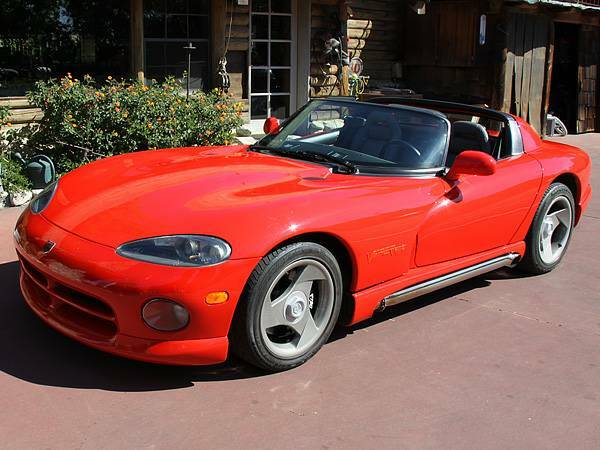 This awesome first generation of the Dodge Viper was released in 1994 has low miles on it, like new condition looking for new home. This a V10-powered sport car only 4.5 sec from 0 to 60 mph top speed 180 mph (290 km/h). - Perfect condition (Top, Side Windows, and Tonneau Cover). - Stainless steel side pipes w/ custom aluminum factory look covers...sounds great! - Stock Engine with new style head gaskets and light porting. - A/C, P/S, and Short Shifter. - Comes with all original parts (mufflers, cats, and covers).